Less than a year ago, I found myself writing about a crisis in Northern Nigeria (Jos Crisis), this time around its about the Bauchi religious crisis (Boko Haram Crisis). While am not trying to be a prophet of doom, I know that I might find myself again writing about another Northern Nigerian crisis after this, but I pray it never happen. Firstly my sympathies go to all the innocent Nigerians who were displaced, or who lost people or properties due to this crisis. Secondly I wish to condemn the group (Boko Haram or education is sin) that started this crisis. Religion should be peaceful and by choice. No group should seek to impose its religious beliefs on the rest of the country. Religion should not be a vehicle for violence. Islam is a peaceful religion. Religious crisis has become a regular occurrence in the Northern part of Nigeria . Crisis of this nature usually spread to other Northern states and might have a spill over effect to some southern states. We have seen some reprisal attacks before in some south eastern and south western states. Be that as it may, the spread of this crisis to other Northern states did reveal the strength and network of this group. However, since religious crisis has become a common feature in the Northern Nigeria , the question is where next and how many innocent Nigerians will die? These menaces (religious crises) have become a very big embarrassment to Nigeria and her citizens. In November 2002, riots from some Moslem youths that were opposed to Miss World contest in Abuja led to its cancellation and subsequent relocation of the show to London . About 100 people lost their lives in that incident. Ironically, a lady from Turkey (a Moslem country) won the contest in London . All these religious disturbances run contrary to all “efforts” of the federal government to boost tourism. The talk of attracting foreign investors in the face of regular religious mayhem might be a total waste of energy and resources. Local investors are even tired of the instabilities in the Northern Nigeria . I know a number of Ibo business people that have relocated completely to the Owerri, Onitsha , Aba , Lagos etc due to these riots. Many have completely lost their means of livelihood. Remember a single religious crisis will have a negative multiplier effects on other sectors of the economy. Some people might become armed robbers when their means of livelihoods are destroyed. Many innocent non Moslems pay costly prices for these religious crises. My simple advice is that people should relocate their businesses outside these volatile northern states. That is the only way to guarantee safety. Prevention is better than cure. But why are there always a religious crisis in the north and what are the measures to minimize it or stop it. Anger, poverty, ignorance, hatred, frustration, tribalism, politics etc are among the reasons, and without doubts some people benefits from such incidents. The whole incidents speak more of the failure of the system. According to the Director General of the State Security Service (Afakriya Gadazama), information before this crisis started and others were passed to the appropriate quarters. If what the SSS boss said was the truth, why did the appropriate quarters not prevent this from starting? If no solution is found to these problems then the country will be seriously at risk. Past experiences have shown that Christians and non Moslems can easily become targets, and when Christians are attacked they usually fight back which makes the matter worst. The Zango-Kataf crisis of 1987 and Kaduna religious crisis of 1992 are typical examples. It shows that no tribe or group(s) has monopoly of violence and violence begets violence. Religious crisis can destroy a nation. Another example is Lebanon where fighting between Christians and Moslems devastated the country. Ironically one of the reasons (say no to western education) why this group (Boko Haram) rioted and fought can also be one of the reasons, which could bring solutions to Northern Nigerian religious crises. Exposure to western education will obviously reduce this problem. Education is light. An educated people will make a better society. High level illiteracy rate makes it possible for people to be used for religious killings. 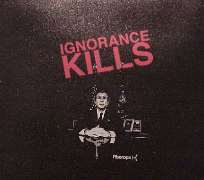 Ignorance is a very serious damaging factor. Ignorance is like a disease. Until this disease is cured and our government becomes effective, Boko Haram crisis will be a child's play compared to what will happen in the future. Illiteracy constitutes a danger to the development of our country. Lessons have not been learnt from previous religious riots in Northern Nigeria . This is typical of our leadership problems. By now, our leaders should have known that those street boys and girls who are willing tools for these types of crises should have been educated or trained to engage in productive ventures. Had our been leaders been serious and visionary since over 30 years the religious crises have been repeating itself, efforts would have been made to educate the less privileged Nigerians. Knowledge is power. Mass education (western education) is needed. On the other hand, one will wonder why there has not been highest level of enlightenment in the north, despite the quota system which was meant to bridge the gap between the “educationally advantaged south” and “educationally disadvantaged north”. Following incessant religious crises, I want to use this medium to appeal to the authorities of the National Youth Service Corps (NYSC) and other federal government establishments to reconsider posting non Moslems and non northerners to the north. Sending Christians and non natives to the north might mean their death warrants. This is because no person knows where and when the next riot will start. It does not give any notice and government has never paid any compensation to people that died through religious crises. There is no need to risk peoples life. In the same manner, companies, banks, financial institutions, international and national NGO's should consider posting only northerners to northern states. No person would like to die or no one would like to loose a family member or a loved one to religious crisis. To Ibo merchants and traders, you people have paid the heaviest price each time there is a crisis. The choice is yours to either continue to pay the costly price or relocate your business and family to a safer part of the country. The Nigerian Police Force, the State Security Services (SSS), and other law enforcement agencies should ask for more powers that will enable them prevent future crisis. Where necessary, the State Security Services (SSS) could follow the examples of the FBI in America and MI5 in the UK that do preemptive arrests and prosecution of suspected terrorists. The Nigerian government should grant the law enforcements agents' adequate powers to prevent such incidents in the future. Nigerians also owe the security services a duty to report suspicious groups or people to them. May God bless Nigeria .